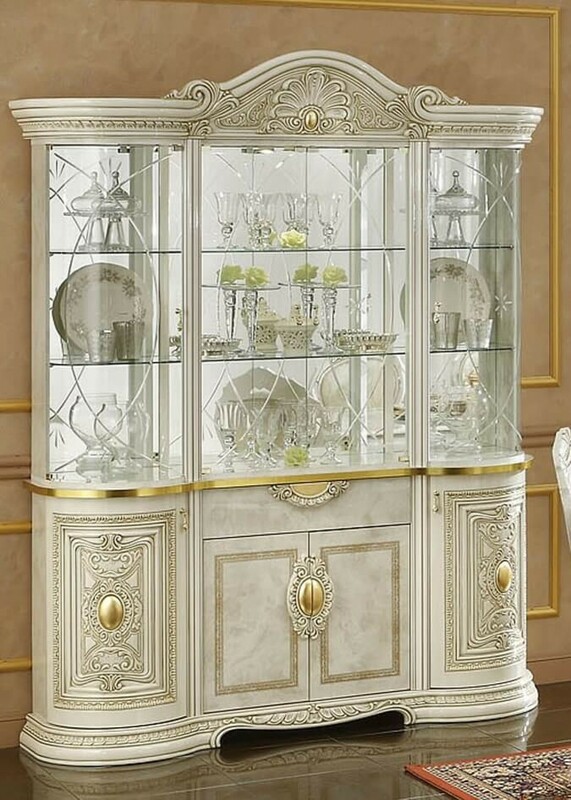 Leonadrdo dining completes a collection in which the baroque style and classic lines combine to create an environment that evokes the splendor of the 1600 palaces. 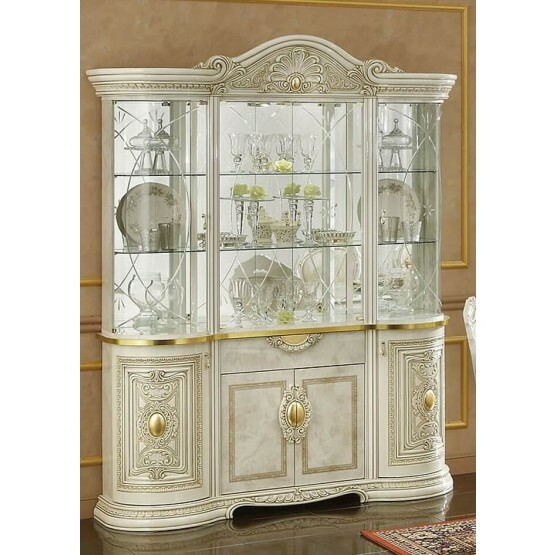 Gold details in ivory high gloss panels and arabesque decorations with Art-Deco handles make this room an obvious choice for those who love classic timeless atmosphere. Leonardo bedroom baroque elements are embellished with gold antique finishes performed by skilled craftsmen. Golden cornices highlight the beauty of shell motif typical of this collection. W69" x D18" x H88"